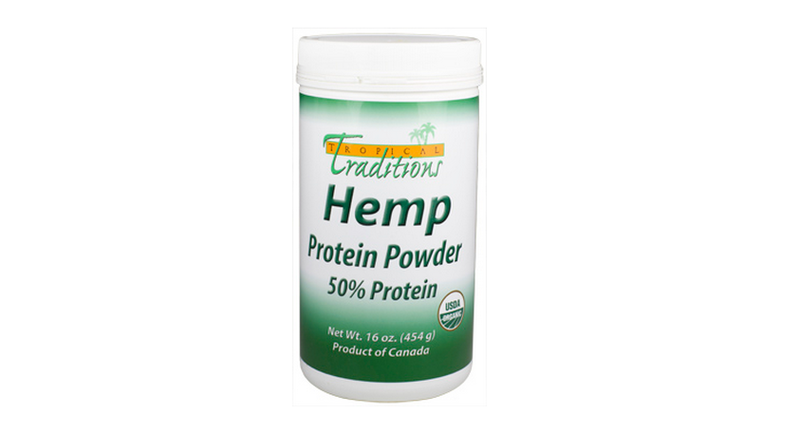 Tropical Traditions Canadian hemp protein contains 18 key amino acids. Hemp protein is free of the trypsin inhibitors which block protein absorption and free of the oligosaccharides found in soy. Hemp seeds contain a perfectly balanced 3:1 ratio of Omega 6 to Omega 3 essential fatty acids. They also provide a good supply of antioxidants, phytosterols, phospholipids and a number of minerals including calcium, magnesium, potassium, phosphorus, along with modest amounts of iron and zinc. I'd love to win it so I can add it to my foods to boost the protein, and help fill me up. I make smoothies almost every morning for breakfast. This would be a great addition. Sometimes in the late afternoon I feel the need for a boost and think that a protein drink would help with that. I would love to try it in my soups and smoothies. I've been looking for a natural protein powder!! I would love to try this! Thanks for the giveaway! I would use it in smoothies. I would use it for baking and even put mixed in with some of my meals! I've never used Hemp protein powder! I'd love to try it in smoothies or milkshakes! I would use it in shakes! I think I would add it to soups and smoothies. Cool! I live off of Trop Traditions coconut flour but have yet to try their hemp protein. I would love to incorporate this into smoothies! I would use it in smoothies! Haven't tried this brand of hemp yet! I would love to try it in a green smoothie! I'd like to try it in shakes or smoothies. Thanks for the chance. I'd use the powder in smoothies. I would put in in my yogurt each morning or make a smoothie. Would love to try it, sounds very tasty and healthy!! Put it in a Green Monster! Mmm. Looking forward to trying this protein powder in my smoothies since milk products are off my "good" list. I'd try this in smoothies...never tried hemp (but want to). I would LOVE to try this! Sounds great! This sounds like a great thing to put in my daily smoothie! Looking to spice up smoothies and bulk up my kids breakfasts. I'm planning on using a healthy smoothie for one of my daily meals....this would be perfect for that! I LOVE Tropical Traditions!! Have not yet tried this product but am very excited to do so! Thanks for this opportunity! I have used another brand of hemp protein and really enjoyed it on hot cereals. I'll bet it would be delicious in protein shakes and smoothies too! I would make smoothies..maybe add to cereals and yogurts. I would love to try this and have been wanting to for some time. I would love to add this to green juice! I would put this in my smoothies!!! I'd use it in smoothies as well, also in my morning cereal milk. I would use this powder for my diet daily. I need lots of protein, low carbs, and of course fiber for it to work correctly. I'd like to try it in a smoothie. I will try it in my cereal. I have watched your video and noted how hemp works on our body. It is a good antioxidant for the human being. I agree with you that it has many types of minerals and vitamins which are need of a body and CBD is a natural remedy product.